Editors Note: To close out our 2012 blog entries, we thought that we’d ask our resident bloggers to share some words on their favorite albums of 2012. 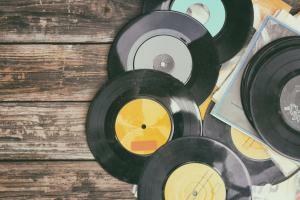 There is quite a vast array of musical styles in these lists, which is pretty neat, and shows the range of interests in our team of bloggers. Now, without further ado, here’s our third entry for the Best Albums of 2012. So when I was asked to put together my top 5 albums of the year I wasn’t even sure where to start. Between my job in the radio industry and being a DJ music is everywhere in my life and hits me from all angles. So what I decided to do was rather than try to figure out the “biggest” albums of the year for everyone else…I looked to what I like on a personal level. This list is obviously headlined by an EP, but that’s just how much I enjoy everything that Karmin does. Amy and Nick are not only naturally talented but their natural chemistry as a couple comes out in every performance. From the first time I heard their music I knew they were something special, but for the first time in as long as I can remember a holiday anthem was not just simply reproduced and spit out as a “new” song. 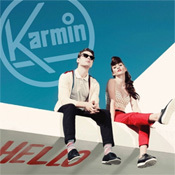 Karmin’s version of “Sleigh Ride” has an updated classic feel. It takes the holiday classic to a new level by combining a rap, a trombone, and all the classic verses in what is sure to be a holiday classic, at least in my house.